College no longer provides job security. Is it still worth attending? A college degree is still a well-trodden path to relative financial success. 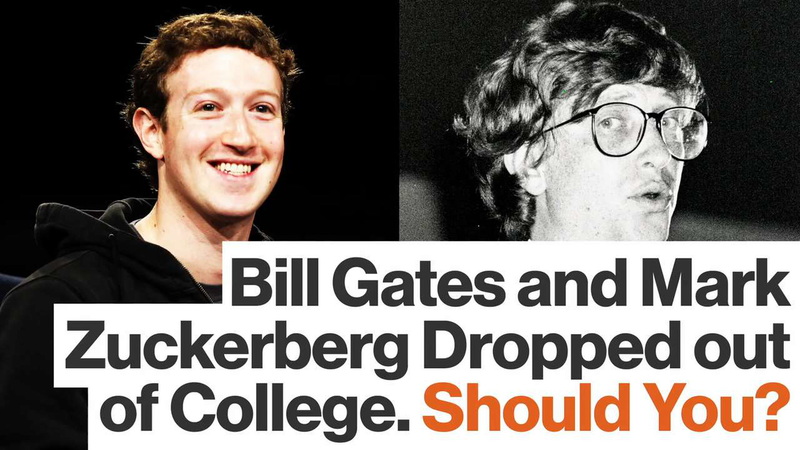 Even so, a college degree is no longer a guarantee of a secure job, or of any job at all. The world of work is changing quickly and will change even more in the years ahead: so too will the challenges that your children face. Many people assume that if their children go to college and take a degree in one of the “safe” disciplines like law, medicine, or accounting, their futures will be secure. In some countries that is still true. In the so-called developed countries like the United States it is not. America has more lawyers per capita than any other country in the world, nearly forty for every ten thousand citizens, and a great many more graduates are not practicing law, either because they do not want to or because there aren’t enough jobs to go around. One of the results of this glut of lawyers in the United States is an increasingly tangled web of legislation and litigation. Lawyers, after all, have to do something with their time. Let me say right away that a college degree is still a well-trodden path to relative financial success. According to a 2014 Pew study, the income gap between college grads and high school grads has never been greater and has widened in a relatively short time.5 Even so, a college degree is no longer a guarantee of a secure job, or of any job at all. The other factors to bear in mind are the mounting costs of college and the rising mountain of student debt. These numbers suggest that the accepted story of school/ college/ security may not be nearly as rosy for many individuals. For one thing, the cost of college in the United States has skyrocketed—from an average of $18,574 in 2000 to $38,762 in 2015.7 That’s an inflation rate of 209 percent, or 71 percentage points higher than the overall rate of inflation over the same period. Many families can’t keep up with this, which has led to the highest levels of student debt we have ever seen—more than $35,000 per borrower in 2015.8 Our children are entering their adult lives with financial burdens that few of us had to carry. This scenario—carrying a considerable level of debt while finding oneself underemployed in a field that may offer advancement but doesn’t align with your desired degree in any way—is one that bears consideration before you guide your children toward four or more additional years of school. One of the reasons for this problem is that we have so prioritized the need for our children to become doctors or lawyers or to get their MBAs that we’ve sent them the unconscious message that anything other than that equates to selling themselves short. Ironically, millions of jobs are not filled. It’s been estimated that by 2020 there will be 95 million such jobs around the world.10 In 2016 there were 5.5 million unfilled jobs available in the United States.11 Many of these were in areas of skilled labor, which require specialist on-the-job training but not college. One of the results is the loss of practical and vocational courses in schools. The loss of these programs and the decline in apprenticeships and other training opportunities has contributed to what has become known as the global skills gap. “Many Americans don’t have the skills that those available jobs require,” noted Patrick Gillespie, a reporter at CNNMoney. “The skills gap has become a serious problem in the U.S.”13 About a third of job openings in the United States in 2018 will require some kind of noncollege professional training, but only 12 percent of the labor force has any kind of vocational certification.14 There are exceptions. One of the most significant is the mounting success of Big Picture Learning. 5. The income gap is more than $17,500 a year in full- time salary for those aged between twenty-five and thirty- two. For early boomers in 1979, the gap was $9,690 (all dollars are adjusted). Danielle Kurtzleben, “Study: Income Gap Between Young College and High School Grads Widens,” U.S. News & World Report, February 11, 2014, http://www.usnews.com/news/ articles/2014/02/11/study-income-gap-between-young-college-and-high-school-grads-widens. 6. Jaison R. Abel and Richard Deitz, “Working as a Barista after College Is Not as Common as You Might Think,” Liberty Street Economics, January 11, 2016, http://libertystreeteconomics.newyorkfed.org/2016/01/working-as-a-barista-after-college-is-not-as-common-as-you-might-think.html. 7. Travis Mitchell, “Chart: See 20 Years of Tuition Growth at National Universities,” U.S. News & World Report, July 29, 2015, http://www.usnews.com/education/best-colleges/paying-for-college/articles/2017-09-20/see-20-years-of-tuition-growth-at-national-universities. 8. Jeffrey Sparshott, “Congratulations, Class of 2015. You’re the Most Indebted Ever (for Now),” Wall Street Journal, May 8, 2015, https://blogs.wsj.com/economics/2015/05/08/congratulations-class-of-2015-youre-the-most-indebted-ever-for-now. 10. “A Multilateral Approach to Bridging the Global Skills Gap,” Cornell HR Review, May 8, 2015, http://www.cornellhrreview.org/a-multilateral-approach-to-bridging-the-global-skills-gap/. 11. “Table A. Job Openings, Hires, and Total Separations by Industry, Seasonally Adjusted,” U.S. Bureau of Labor Statistics, November 8, 2016, https://www.bls.gov/news.release/jolts.a.htm. 12. Bob Morrison, personal correspondence, July 2017. 13. Patrick Gillespie, “America Has Near Record 5.6 Million Job Openings,” CNNMoney, February 9, 2016, http://money.cnn.com/2016/02/09/news/economy/america-5-6-million-record-job-openings/index.html. 14. “Report: Vocational Training Misses Mark in Many Countries,” U.S. News & World Report, November 18, 2014, https://www.usnews.com/news/articles/2014/11/18/report-vocational-training-misses-mark-in-many-countries. 15. “Our Story,” Big Picture Learning, https://www.bigpicture.org/apps/pages/index.jsp?uREC_ID=389353&type=d&pREC_ID=882353, accessed September 14, 2017.